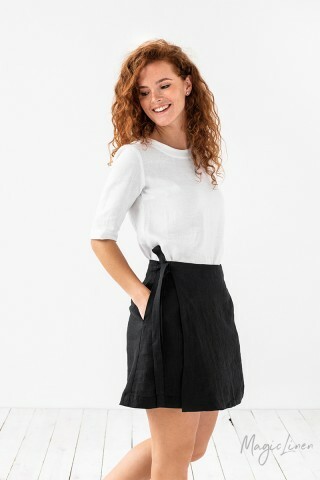 Linen wrap dress available in all MagicLinen clothing colors. This dress is a timeless classic and one you should absolutely have in your wardrobe. Designed to have a crossover front and a tie waist, it can be cinched or worn loose. Wide kimono-style sleeves give it a distinct look.